I’ve had my Samsung Galaxy Note 5 since last year, and I still love it. And I love the fast charging capability of this mobile phone, but I was soon searching for a replacement fast charger. I’d sworn off Android phones, back when I got rid of my Garminfone, years ago. Garmin makes top-notch GPS navigation systems (which was about the only thing that ever worked well on that phone), and quickly figured out they should just play to their strengths and get out of the phone business altogether. I used to joke that if I were ever being chased down a dark alley by bad guys, my only hope was to aim well and throw the phone at their heads. I got a Windows 7 phone through Klout, and instantly fell in love with it. I bought the Nokia Lumia 810 in 2013, and my only disappointment was T-Mobile’s refusal to upgrade the OS – ever – after that. The camera quality, with its Carl Zeiss lens, and the overall OS stability, more than made up for that disappointment until recently. I still love it – I passed Lumia 810 to my son, and he’s quite happy with it. He primarily uses the phone to call, text, and watch video on YouTube. I use my cell phone for everything, though. Calling, texting, email (personal and work), social media, and entertainment (streaming video and music). I really, really wanted the Windows 10 phone. But Microsoft kept delaying its release, and given all the recommendations from friends that I just switch to iPhone or Android, and seeing on Facebook all the fun things they could do that I couldn’t, I gave up and gave in. I went phone shopping. I’m now a loyal Samsung Galaxy Note 5 owner. Of course Microsoft released the Lumia 950 I’d been drooling over, two weeks after I bought my new phone. Now, the only Windows phone that could tempt me is the HP Elite x3. That’s a business device and won’t be available until September, so I will mop up my drool and enjoy what I have. With my new Android device, I have discovered how well the newer social media apps work. I understand what people thought I was missing, with the Windows phone and its more limited apps. I now spend just as much time online, but I’m more mobile while I’m Facebooking, these days. 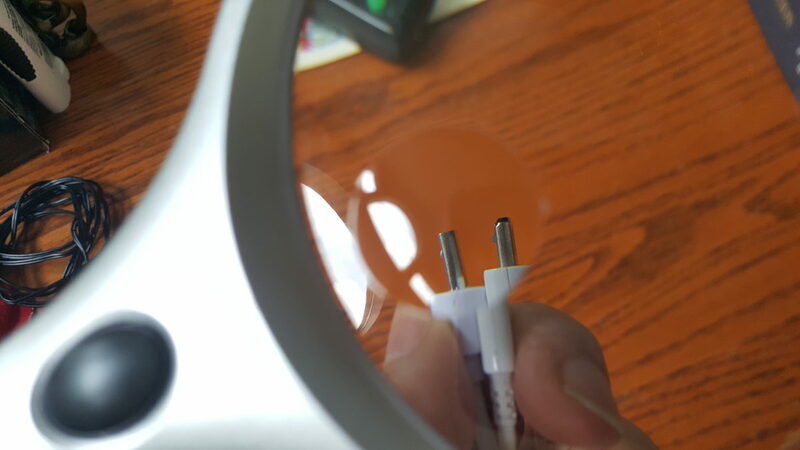 The only “weak” feature of the Samsung Galaxy Note 5, right out of the box, was the charger. It only fast-charged the phone about half the time. It was very erratic, in that. It always charged, but fast-charging was never a given. T-Mobile suggested I buy the Samsung wireless fast charger. Why should I buy a wireless fast charger from them, at $60 or so, if they couldn’t get the simple, wired version right? That said, I am wary of third-party chargers. I have a third-party charger, for a different device, that melted, warped, and exposed its innards while I while I sat next to it, watching it writhe. Beware. Never leave one of those things unattended or in use while sitting on a flammable surface. The low price made me wary right off the bat, but positive ratings – for both product and seller – made me willing to risk it. If it was Qualcomm certified, as the description claimed, and if it worked better than the OEM charger, it was a steal. (I’ve actually bought it at $15 and at $10 – watch for sales!) I liked it so well I bought two more, and gave one to my son. It works on the old Lumia 810, on my Kindle, on my nook – in short, it will charge at the device’s fastest speed. And it always fast-charges devices that support it. None of this “reconnect and hope you win the fast-charge lottery” business I had with the OEM charger. There were numerous complaints on that issue, and I can happily report that it has not once been a problem with the Ingenium fast-charger. The cable that comes with the Ingenium chargers is just a “freebie” they throw in. One of these has developed a loose connection on the end that goes into the phone. The “snug fit” of its cables was a major plus compared to the original fit of the Samsung cable. I knew that it hadn’t come this way out of the box. Since I have three of these chargers, now, I swapped out the cables and determined that it’s a problem with the micro USB end of the cable – not the charger or the phone connector. After writing to the seller, on Amazon, I got to thinking maybe this was a common problem with micro USB connectors. It’s probably the reason I’ve had so many phone chargers “fail” on me, over the years. And so, I turned to Google, where I found this brilliant little hack to fix a loose micro USB connector. Worth a try, right? Following these simple instructions enabled me to fix the connector in about 5 minutes. Be careful when lifting the clip; the pin could slip and jab you in the finger. I got a better grip using a safety pin than a sewing needle. 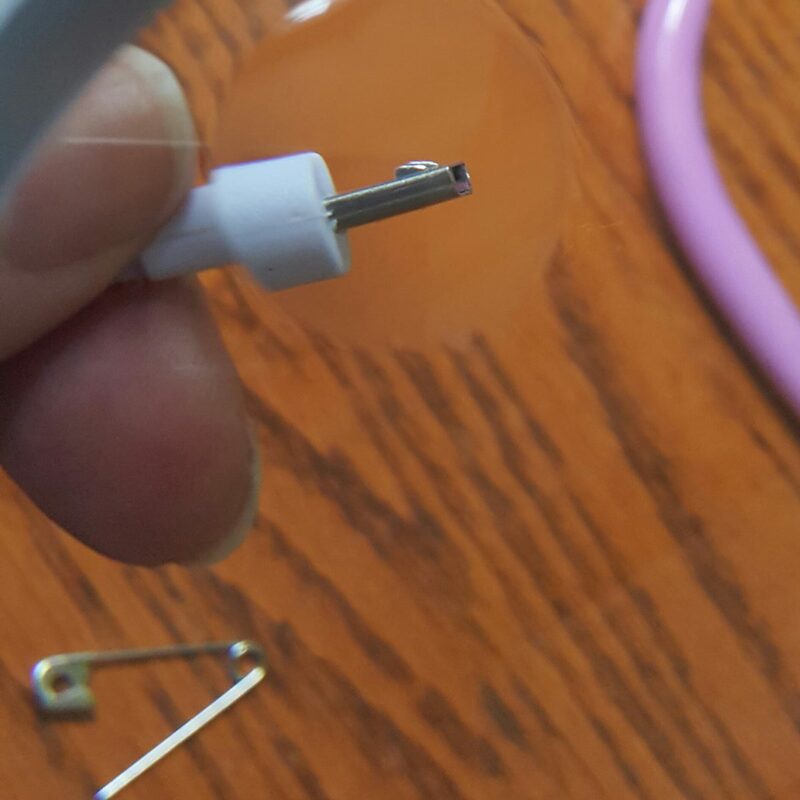 Use eye protection, just in case the needle or pin breaks under force. I hope you found this information useful. If you need a great charger phone or tablet charger at a fantastic price, check out the Ingenium charger. And before you give up on any charger, try the clip fix. The problem may not be in the charger at all. A new cable can run $5 or more on Amazon, though you can find cheap bundles. The connector isn’t the only thing that matters, so I’d rather fix the connector clip on a known good cable than take a chance on a bundle of cheap cables. After all, it costs nothing to try! I have actually used all products mentioned here; however, I bought my Samsung Galaxy Note 5 at my local T-Mobile store and it is not the unlocked unit shown at the Amazon link. If you’re a blogger and still using cmp.ly disclosures, give it up – they’re just throwing broken links all over the place.